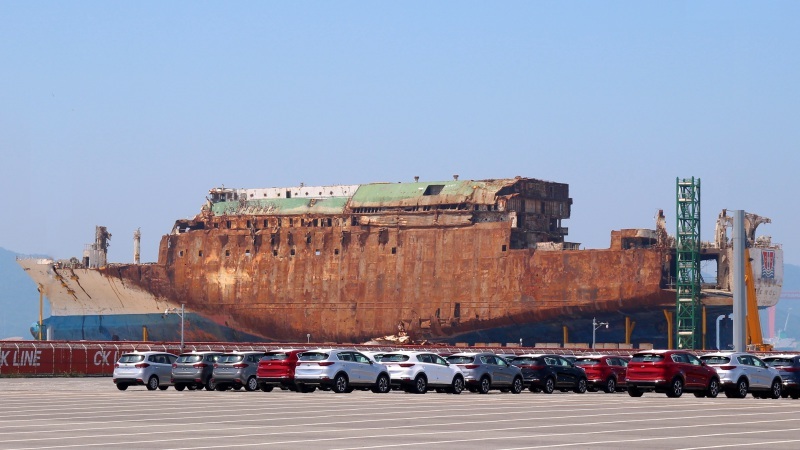 Just to share a surreal scene of this casualty with new SUVs ready for export in the foreground, as seen at Mokpo New Port. In the meantime, a symbolic graduation ceremony was held on February 12 for 250 students who perished in the sinking. A sad sight. Do they plan to leave it there? This photo has been shown 1,348 times since it was added to the site.